Currently browsing posts filed under "Col. Ephraim Williams, Jr."
One of my side projects this year will be collecting information on the Bloody Morning Scout, the battle in which Ephraim Williams died. Here is a brief account from Montcalm and Wolfe by Francis Parkman. There is an amazing senior thesis to be written, not so much about the Bloody Morning Scout itself, but by the various descriptions of it over the last 200 years. It was soon after eight o’clock when Ephraim Williams left the camp with his regiment, marched a little distance, and then waited for the rest of the detachment under Lieutenant-Colonel Whiting. Thus Dieskau had full time to lay his ambush. When Whiting came up, the whole moved on together, so little conscious of danger that no scouts were thrown out in front or flank; and, in full security, they entered the fatal snare. Before they were completely involved in it, the sharp eye of old Hendrick detected some sign of an enemy. At that instant, whether by accident or design, a gun was fired from the bushes. 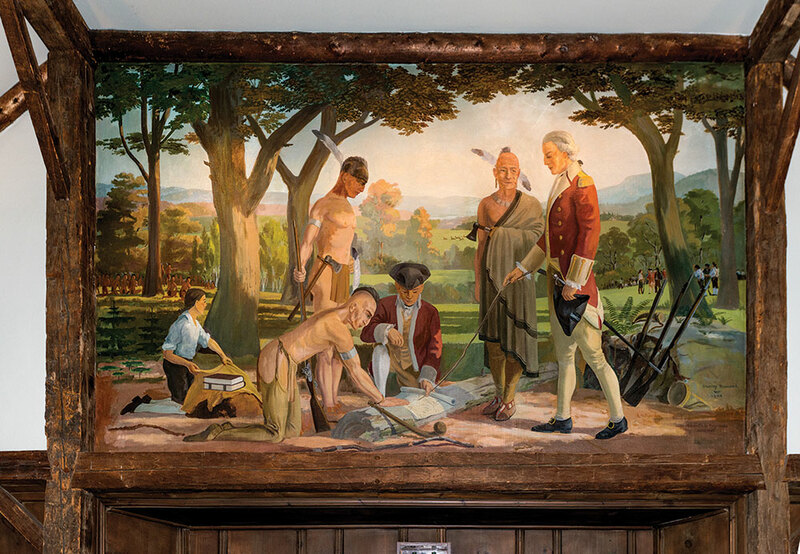 It is said that Dieskau’s Iroquois, seeing Mohawks, their relatives, in the van, wished to warn them of danger. If so, the warning came too late. The thickets on the left blazed out a deadly fire, and the men fell by scores. In the words of Dieskau, the head of the column “was doubled up like a pack of cards.” Hendrick’s horse was shot down, and the chief was killed with a bayonet as he tried to rise. Williams, seeing a rising ground on his right, made for it, calling on his men to follow; but as he climbed the slope, guns flashed from the bushes, and a shot through the brain laid him dead. The men in the rear pressed forward to support their comrades, when a hot fire was suddenly opened on them from the forest along their right flank. Then there was a panic; some fled outright, and the whole column recoiled. The van now became the rear, and all the force of the enemy rushed upon it, shouting and screeching. There was a moment of total confusion; but a part of Williams’s regiment rallied under command of Whiting, and covered the retreat, fighting behind trees like Indians, and firing and falling back by turns, bravely aided by some of the Mohawks and by a detachment which Johnson sent to their aid. “And a very handsome retreat they made,” writes Pomeroy; “and so continued till they came within about three quarters of a mile of our camp. This was the last fire our men gave our enemies, which killed great numbers of them; they were seen to drop as pigeons.” So ended the fray long known in New England fireside story as the “bloody morning scout.” Dieskau now ordered a halt, and sounded his trumpets to collect his scattered men. His Indians, however, were sullen and unmanageable, and the Canadians also showed signs of wavering. The veteran who commanded them all, Legardeur de Saint-Pierre, had been killed. At length they were persuaded to move again, the regulars leading the way. Did the experienced Colonel Williams really not have scouts out that morning? Why? I have always thought (hoped?) that there was more to this story . 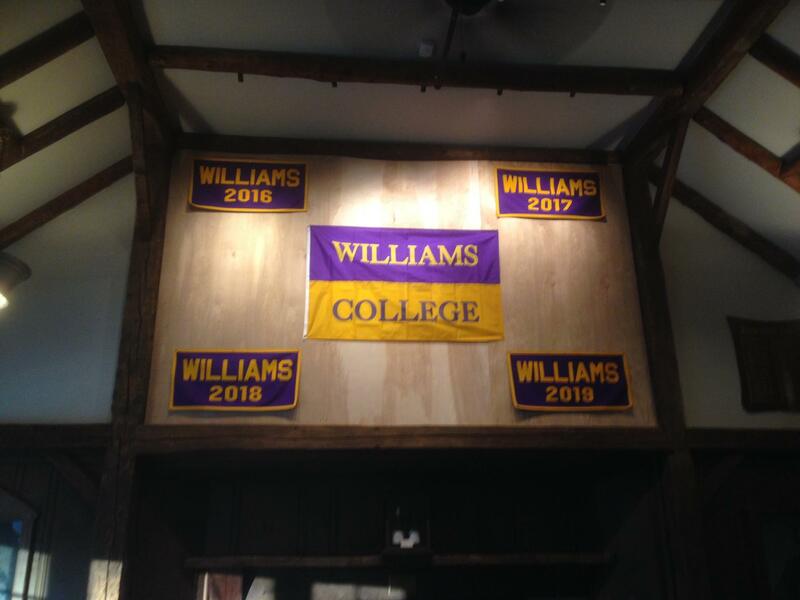 . .
March 29, 2008 · Filed Under Col. Ephraim Williams, Jr.
Williams College traditionally recognizes the birth date of founder Colonel Ephraim Williams, Jr., as March 7, 1715, but a February 24 birthday nod to Williams wouldn’t be a full faux pas. When Williams was born in Newton, Mass., most Protestant-led countries ignored Catholic Pope Gregory’s Gregorian Calendar, which had been initiated about 270 years earlier. With an 11-day span between the Julian and Gregorian calendars, Williams’ birth date is believed originally recorded as February 24. But when Great Britain and the American colonies switched to the Gregorian calendar in 1752, Williams suddenly found that he had not only a new birth date but also a new birth month! And a new zoological sign. Is it prurient of me to wonder about this? Williams was killed during the French and Indian War Battle of Lake George in 1755. The 40-year-old bachelor Colonel met his demise during what became known as “The Bloody Morning Scout,” after he and his troops were ambushed. Historic lore asserts that Williams’ horse was shot from beneath him during the attack. When he ascended a rock to gather and direct his troops, Williams was fatally shot in the head. How many rich men in 18th century New England were never-married “bachelors?” Not that many, I think. Take it away Professor Chris Waters! March 28, 2008 · Filed Under Col. Ephraim Williams, Jr.
EphBlog is powered by WordPress and delivered to you in 0.984 seconds using 33 queries..